McWilliams signs up / loaned out! Pollok FC are delighted to announce that teenage forward Mikey McWilliams has signed for the club on a permanent basis through to the end of the 2019-20 season. 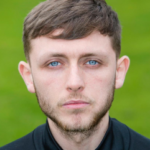 He joined the Pollok United set-up towards the end of last season from Vale of Clyde YFC and after signing on a ‘delayed transfer’ basis from the 21s, has been a regular in the matchday squad so far this season. Back in August, he made his debut against Largs Thistle, then started his first game in November’s draw with Petershill and scored his first goal down at Valefield against Kilbirnie in December. Mikey will however now spend the next month on loan at promotion-chasing League 2 side Ashfield and everyone will wish him all the best with that move. 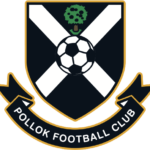 The Pollok FC website and official matchday programme seeks a keen and reliable match reporter to cover games. The ideal candidate will be able to attend the vast majority of Lok games, home and away, have a firm and confident grasp of written English (spelling, punctuation and grammar) and be able to submit written copy via email within a reasonable timeframe. This is a voluntary position but does offer a platform to showcase your work. 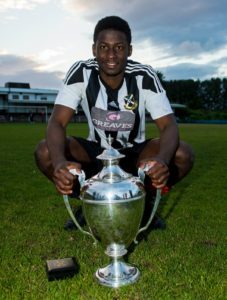 Pollok are delighted to announce the capture of Jamie Henry on a contract until the end of the 2018-19 season. 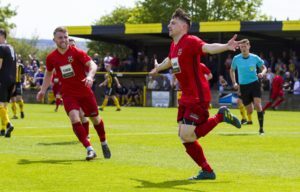 The Clydebank-based central midfielder has been without a club since leaving Brechin City in August. Having played for a number of sides in the West at Pro Youth level, Jamie joined Aberdeen when he was 15, became captain of the youth team and remained there until 20, enjoying a loan spell at Arbroath during his time at Pittodrie. After moving on, he spent last season back at Gayfield during the first half of the season and finished it with Annan Athletic. He impressed on his debut, winning man of the match no less, so here’s hoping Jamie enjoys more of the same in the weeks, months and years ahead. Welcome aboard! 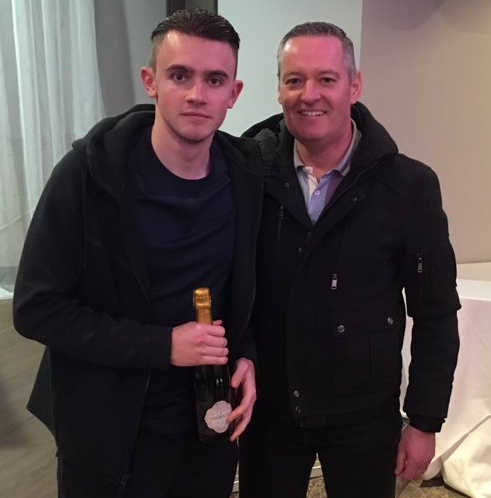 Jamie being presented with his MOTM award by sponsor Peter Graham last weekend. 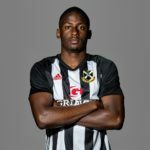 Pollok can confirm that Mohamed ‘Sena’ Niang has now left Pollok and has signed for Scottish Championship side, Partick Thistle. 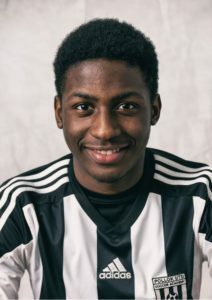 Sena graduated from the Pollok United Soccer Academy in the summer of 2017 after having captained the U19’s the previous season. 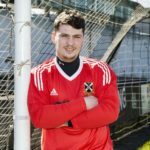 As the first academy graduate to make the step up, he made his first team debut against Arthurlie in a 1-0 Sectional League Cup win and made his first league start a few games later away to Kirkintilloch Rob Roy in the league. He finished the 2017-18 season with 20 appearances. Sena has made 9 top team appearances this term and he scored his first goal for the Lok in a 4-1 win against Maryhill. It’s been a pleasure to play for Pollok. It’s a journey in my life that I am never going to forget as it gave me the platform to go and play the best sport in the world and finally achieve my dream, to be a full time footballer. I would like to thank the fans as they’ve been great to me since the day I made my debut. 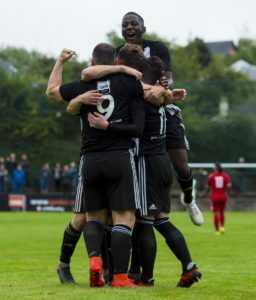 I always gave 100% because of how much love I have for the Pollok fans and my teammates. I would like to wish all my teammates and coaching staff all the best for the remainder of the season. I will miss playing at Newlandsfield, but now that I live closer to the ground I’ll be coming to most home games as a fan to cheer on the lads. I’d also like to say a massive thanks to the academy from mini kickers all the way to the Under 19s for always been supportive and cheering my name. You guys mean a lot to me. A special mention to the squad and coaches from last years Pollok u19’s, a brilliant bunch of lads who were always there for me when I needed support. All of us in the dressing room are delighted that Sena has managed to secure his dream move of playing full time professional football after securing a deal with Partick Thistle. 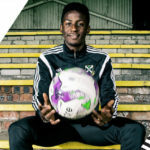 We have worked hard every week with Sena on all aspects of his game so it is fantastic that Thistle have seen this improvement and potential in the lad to offer him a great deal. On a personal level, I’m really pleased that his teammates worked with him and helped Sena every week to provide support and experience to him on and off the pitch to develop into the player he is today. From the dressing room we would like to wish Sena all the very best in the next step of his football career. I am sure he has a really bright future in the professional game if he continues to listen, learn and improve his overall game. Echoing the manager’s sentiments, on behalf of everyone at Pollok we’d like to wish Sena the very best. Our performance was nothing short of disgraceful from start to finish. You cannot win West Premiership games playing for 20 minutes and expect to win! Before people start to criticize the management team, our players were well warned what to expect from the game, our opponents and the need to start producing performances and winning results as our season to date has been really unacceptable. Having six points from five played isn’t what we wanted nor expected especially since we have been ahead in all of those games and have only once seen a game out to victory. Defensively we were really poor with avoidable goals, missed chances when in front to put the game to bed and devoid of creativity and competitiveness in the midfield – add these things together and it doesn’t make for a good team. We finished last season strongly and we really haven’t started this season. As for the game itself, we didnt start the game well, looked sluggish and not at it and deservedly went behind at half time – in fact Jordan Longmuir saved us on a few occasions in that first period. After some strong words at half time, the players reacted in the right manner and took the game to Rob Roy then ended up 2-1 ahead and looking likelier to go on and win the match with goals to spare. For some reason they stopped playing, played within themselves, stopped doing the good things they did in first 20-25 minutes of second half and this gave Rob Roy encouragement to have a go which they took. All goals were very poor goals to concede. For the first goal Mark Sideserf played them onside, at the second, Ewan McNeil was caught wrong side then some bad defending from Danny Boyle followed and they had equalized. And the third goal, we don’t clear our lines, they get to the bye line and score a very soft third right on the goal line. In terms of performance, you cannot have three players in Jordan, David Gormley and Adam Forde as the only players who played anywhere near what they can and expect to win. A really bad day at the office and we got what we deserved for sloppy display – nothing. Obviously the first thing I would demand is the right reaction following a bad performance and result last week. We have made things extremely difficult for ourselves to get into the mix at the top with our results so far this season. 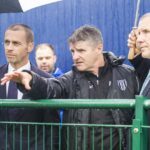 I spoke with Brian McGinty on Saturday who was at our game so he will have been encouraged by what he saw and think he can come up and get a result this weekend. All players and management attended the open day to show our support for the wider club. To my knowledge, the open day was a fantastic success and the whole club got a real lift for the support, the sponsorship and the general feel good factor around the entire club from the community, academy to the first team. We really need the club to stick together, support everything the club does as it really is the lifeblood of everything we are trying to do. We don’t have a rich benefactor that many of the Ayrshire clubs have, we don’t have a huge single sponsor or social club that pumps tens of thousands into the club hence the reason since I joined the club I’ve had to manage my budget very closely, sell players every season in order to keep the club budgets in hand. Since I joined the club, the club has gained significantly in terms of transfers monies in which has helped the club in many ways. We try and work together to ensure that Pollok is financially healthy and run for the benefit of the entire club hence the need to continually be financially prudent. I thought given our circumstances and playing resources available, the result was more important than the performance. We needed to get the victory to move us up the table and keep in touch with the early pacesetters in the league. This season’s league will be a marathon and it’s important to stay on the leaders’ coat tails whilst we are still getting all of our players fit and available to play. There will be many twists and turns as this season develops in terms of the league, and both the West and Scottish cups. I felt we started the game ok and thought we were fortunate to go in at the break a goal up with a fine strike from Bryan ‘Butch’ Young. In the second half, we took the game to them and should’ve scored before they equalized after we switched off defensively in both midfield and defence. From then on, we dominated the play and deservedly scored two fine goals from Forde and young Michael McMullin from distance to give us a commanding lead. Late on you could sense our nervousness, having not seen previous games out, which saw us concede a very poor late goal in injury time. We were glad to get the result and thought we deserved to win on the balance of play in second half. A number of our players played very well including my man of the match ‘Sena’ Niang, as well as Ewan McNeil, Danny Boyle and Adam Forde, who all had great games. Michael is a good young player – a left sided defensive player who was previously full time at Partick Thistle before being sent on loan to likes of Albion Rovers and Alloa in previous seasons. He has lots to learn in the game but we are happy to take him in and try to develop him into a better player. He hasn’t let himself down in any of the games so far but he knows he needs to improve his fitness, sharpness and awareness over the coming weeks to keep his place in the team. We are looking forward to the game this weekend and provides us with another chance to win, gain 3 points and move up the league table. We welcome back a few important players this week in Mark Sideserf, skipper Paul Gallacher and Gary McCann. In the coming 2 weeks, I would expect Shaun Fraser and Danny McKenzie to be back involved too following injury and work secondment respectively. Having these players back plus potential new signings too will put us in a stronger position to compete and win games of football. I’m happy with the draw which gives us a home tie against team from another region. Scottish ties are always special and we hope to compete strongly, if not win the cup this season, so no lack of ambition from our dressing room. It was pleasing to see likes of Kilwinning and Beith draw each other too which means one of the big rivals and favourites leave the tournament early doors which will put pressure on them from outset of season. 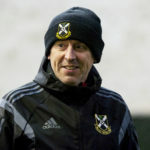 Pollok manager Tony McInally recently spoke at length with Martyn Robertson of Urbancroft, giving a frank and honest account of his time so far in the Newlandsfield hot seat. Our thanks go to long-term supporters and sponsors Urbancroft and to Loks Bar and Kitchen for allowing use of their function suite for filming. Pollok have signed Jordan Brown, 23, on loan from Cumbernauld United and he came straight into the side to make his debut against Cumnock Juniors yesterday. He counts Kirkintiloch Rob Roy and St. Roch’s as his other previous Junior clubs. Supporters Direct and Club Development Scotland sent the cameras to Newlandsfield a few weeks back to look at how Pollok FC works with the community through the academy and as a club. We’re extremely proud of what the club has achieved. This short film highlights what can be done with dedication, belief and hard work. We hope you enjoy it. Thanks to Scott Johnston of The Footy Blog for his work in putting this together. 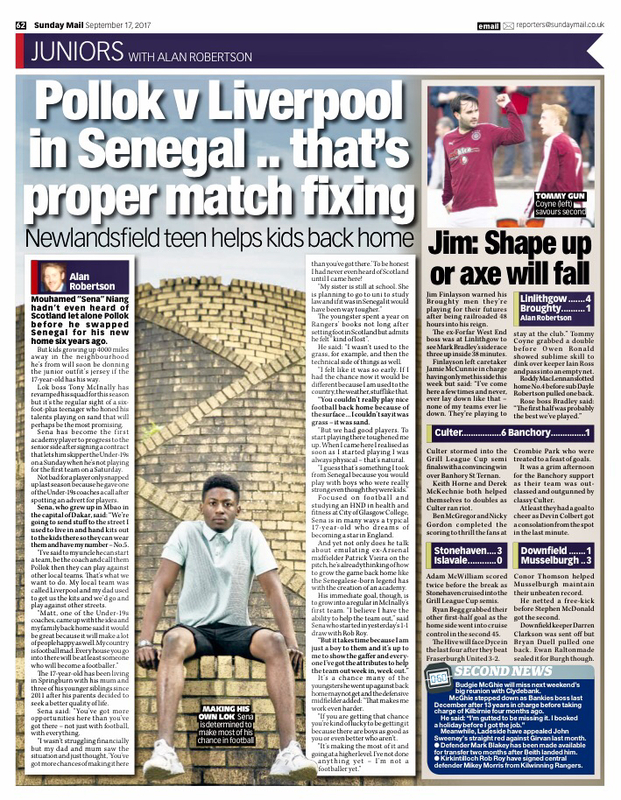 After an assured league debut against Kirkintilloch Rob Roy on Saturday, the Sunday Mail featured an interview with Sena Niang yesterday.